Friday, June 21, 2013 is National Music Day. 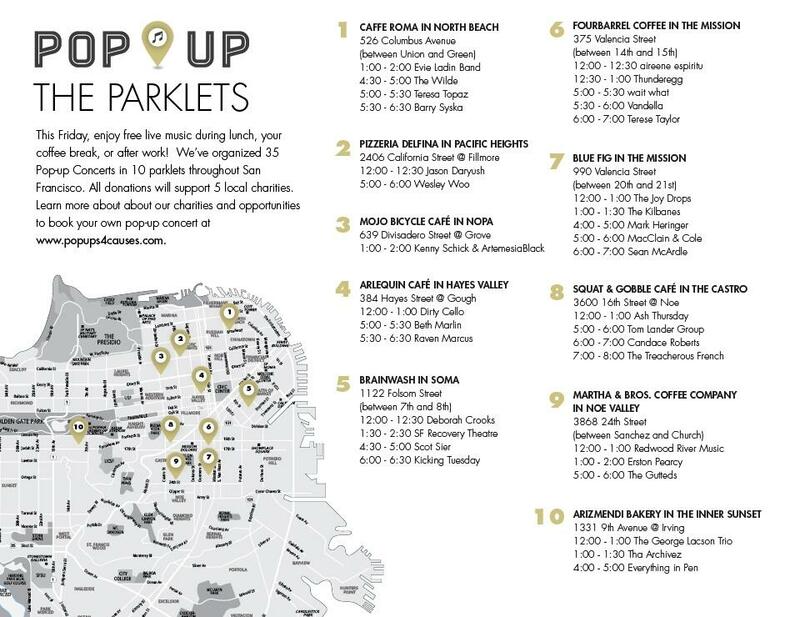 In addition to a special performance at The Monkey House in Berkeley that evening, I'm participating in Pop-Up Parklet's for a Cause, 12p - 12:30pm, playing at the parklet in front of Brainwash Cafe,1122 Folsom Street, in San Francisco. 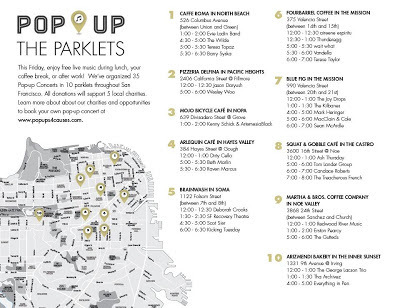 More than 35 artists will be performing in Parklets all over the city, a musical happening to raise funds for local charities including Bread & Roses, City Youth Now, Woman, Inc, LYRIC and 5 Gyres. I hope to raise $100 (suggested donation is only $5) for these organizations that help so many of those in need. Please come on down to Brainwash, grab lunch or a coffee and spare $5 for a good cause. 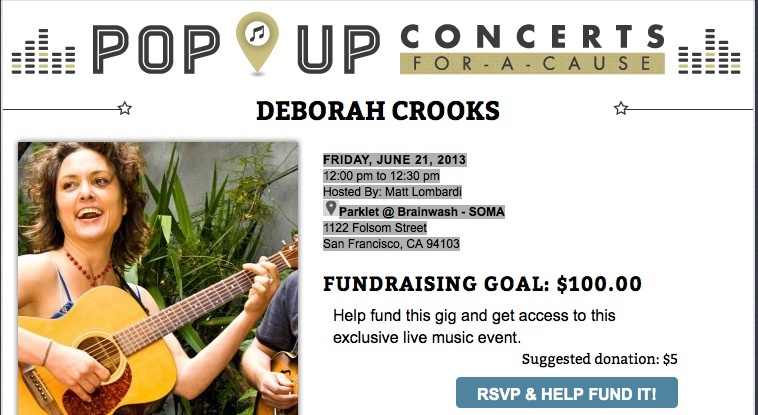 If you can't make it down to SOMA at noon, you can donate online at Hear it Local. Also, the person who posts the most "liked" photo or video clip from the festival to www.facebook.com/Popups4causes will win a free concert in his or her San Francisco-based home or office this summer.